I sat listening to a group of men talking this past evening about how to reach men in our city. One of the key issues discussed was the desperate need for mentors. This is such a passionate area of my life for many reasons, one of which has been the amount of rejection I have faced in seeking someone to mentor me. There is no doubt in my mind that everyone needs someone who will pour into them and this is the role that a mentor plays. But what if the one who is doing the “pouring” is not pouring in the right stuff? Do we not miss the mark and then the efforts of mentoring are in vain. I keep hearing this phrase “we are not trying to re-invent the wheel” but what if the wheel is not rolling? Do we stop and consider that while we have a worthy target it seems we are not hitting the mark? The focus has to be greater than simple teaching a man to work to earn a wage. Working a job is a temporal focus. The Apostle Paul taught the man who stole to stealing no more but rather to work with his hands that he may provide for the needs of others. A greater focus is teaching a man to work so that he can help others. This focus does not change unless the man is introduced to the agent of change, the Holy Spirit. I will suggest at this point that real mentoring can only be accomplished if those being mentored are introduced to Christ. I guess you might call this mentoring from a complete biblical worldview. 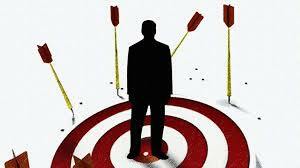 In this case the mentoring is in the direction of Christ and therefore is able to hit the mark. Take for example the account of Christ dealing with the maniac of Gadara (Mark 5). Here was a man in desperate need of change yet nothing “society” tried worked. As a matter of fact there was nothing that could be done to restrain/ change him. However, when Christ came into this man’s life things changed in a hurry. His manners. He ran around naked living in the graveyard, yet when he encountered Christ he was found clothed and in his right mind. His mission. He was a trouble maker seeking to cause distress to others, yet when he encountered Christ he was directed to minister at home. His message. When he encountered Christ he went to the community telling about the great things Christ accomplished. When the foundation is Christ, when the mark is Christ, or when the purpose is Christ mentoring works. When the foundation is society, when the mark is culture, or the purpose is man mentoring misses the mark. If you seek to be a mentor start by sharing Christ. Let those you are into whom you are pouring know nothing else matters save that which is done for Christ. All others things will surely pass away. Let them know Christ desires their success but His definition of success is far different from the world’s definition. When mentoring you should educate them and your should train them but know this without Christ it is for nothing. Strive for that which is eternal everything in this life will then fall into place. How true Jesus always pours the right stuff. Just like a well made loaf of bread we too shall rise. Jesus the ultimate baker. Isn’t it great we get to sell the aroma of his great sacrifice?